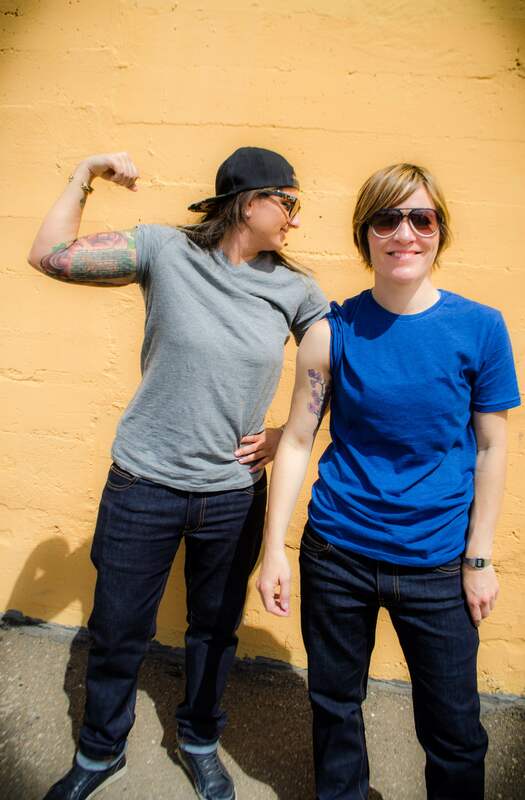 Vicky and Charisse Pasche's mission to create gender-neutral jeans began with Vicky's personal quest to redefine her style. Looking to give off a more androgynous vibe, Vicky tells me she started perusing men's clothing departments, but found that her options there were limited. That first trip to the men's department to try on her a pair of men's jeans was a "super scary experience," and she soon realized "men’s jeans aren’t made to fit the curves of a woman’s body." Not feeling completely comfortable shopping in either the women's or men's departments, Vicky and her wife Charisse set out to create Dapper Boi, the pair of slim-straight jeans with the details and look of men's jeans with the added comfort and fit of women's jeans meant to fit any body and gender presentation. Vicky explains that since jeans are "a big item in everyone's wardrobe," she and Charisse decided to launch their brand with the wardrobe staple that can be the most difficult to track down when it comes to size and fit. Dapper Boi knows you hate shopping for jeans, and they want to change that. 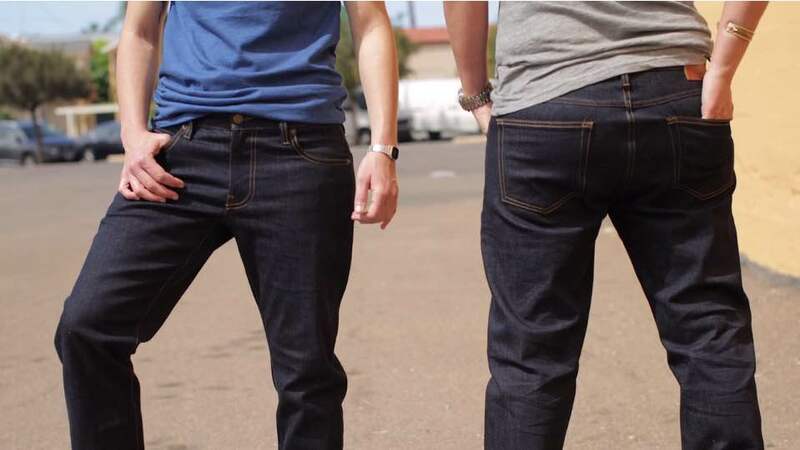 "We took notes on what we liked about our favorite jeans," Vicky and Charisse tell me, and after several revisions, they came up with a pair that features the best of men's and women's jeans, in a style and cut that's functional, flattering, and andro-forward. 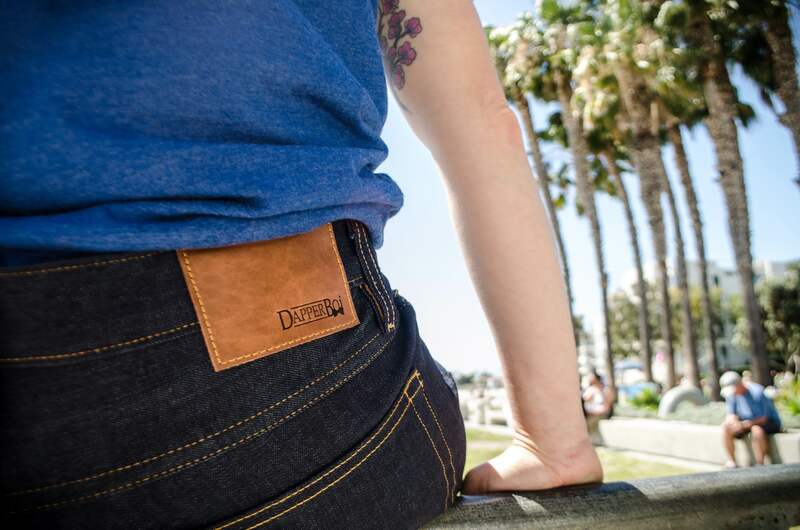 Unlike what you'll typically find in the women's department, Dapper Bois have real, functioning, deep pockets big enough for an iPhone 6 and an adjusted crotch length. "We offer size 26-48 because we really wanted to accomodate different body types and styles," Vicky and Charisse explained, adding that the dark rinse jeans can be "dressed up or dressed down." Dapper Bois are specifically designed for queer/trans bodies, or for for anyone who doesn't feel comfortable in gender-specific clothing. When you look like yourself, you feel like yourself, and no one should have to brave sideways glances from uncomfortable salespeople to find a pair of jeans that fits. "Before, I hated my men’s jeans," Vicky says. "Now, I’m excited to get dressed." Vicky pairs her Dapper Bois with a bow tie and button down, and because they're androgynous, they look great with any style. "We truly believe in our product," Vicky and Charisse tell me, and you can pick up your very own from Dapper Boi's website where they're available for preorder now following a successful Kickstarter campaign. 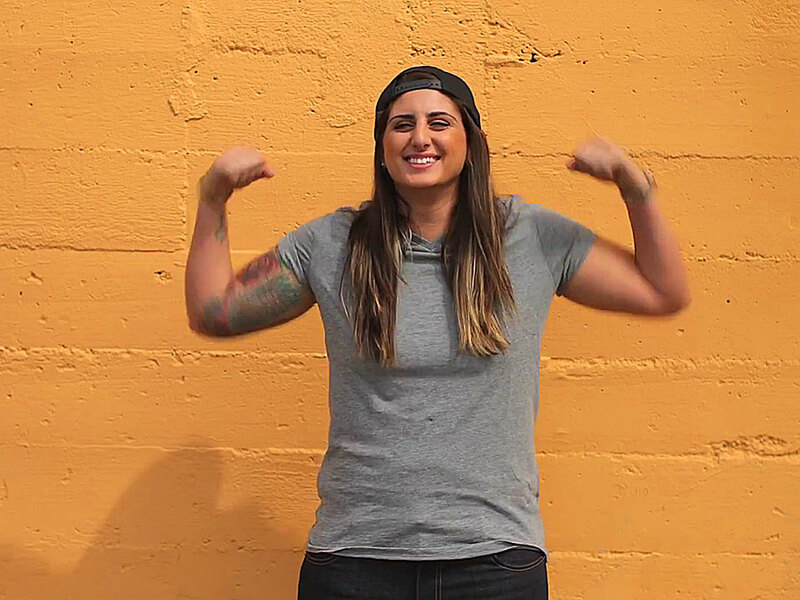 Vicky admits that stopping by the men's department is "still a little awkward," but luckily for anyone looking to explore a more androgynous look, Dapper Boi jeans are here to make the men's department a little less weird for everyone.